Our excellent erection / dismantle service is further enhanced as we can attend to all aspects of this function from the initial site visit, risk assessments, advice on road closures and erection sequence to the eventual loading and crane storage. Al Rawafea also offers a range of Tower Cranes for hire. As well as ensuring that the right cranes are available, we offer a well maintained product all supported by professional service and advice. 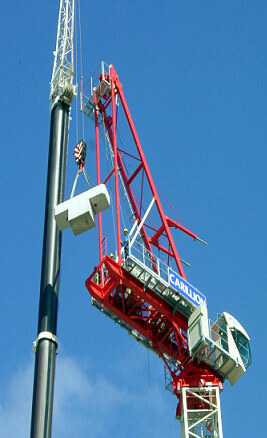 Tower Crane & Hoist Passenger on Rent.